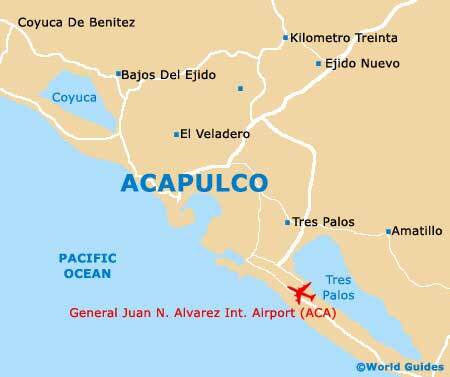 Acapulco is an especially scenic spot for visiting golfers and its array of golf courses have plenty to offer all levels of ability. A number of Acapulco's most popular golf courses are sited next to the coastline and boast quite literally breathtaking views, which at times are almost enough to put you off your swing. All of the golf courses and clubs in Acapulco offer varying levels of refreshments and plenty of hazards to watch out for. 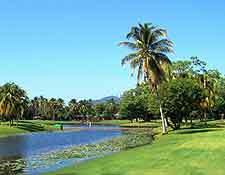 Acapulco's best golf courses here do tend to be a little on the pricey side, due to the quality of the layout and facilities being reflected in the price. The Fairmont Acapulco Princess Golf Course is a particularly exclusive club and part of the Princess Hotel complex, being amongst Acapulco's most historic courses. Although the views and amenities here are excellent, they do come at a price. Caddies, a shop and golf buggies are all available, together with a good restaurant at hole number 19. One of the biggest and most impressive golf courses in the whole of Acapulco, the Vidafel Mayan Palace Golf Course attracts keen golfers from far and wide. 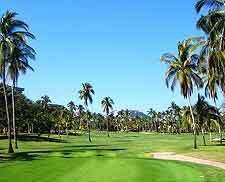 With 18 holes and a host of large palm trees, this course has a definite tropical feel and also boasts sea views from some holes. Highlights include electric buggies, refreshments and a pro shop. A particularly popular course and not to be overlooked, the championship Tres Vidas Golf Course has hosted a number of major international matches over the years. The course itself stands next to the coastline and boasts palm trees, tranquil lagoons, caddies and equipment hire. Home to 18 holes and more than 60 different sandy bunkers, the Pierre Marques Golf Course is full of challenges, both natural and manmade. Championship matches have been held here in the past and the course itself has been recently improved and updated, including the addition of a practice area. The Pierre Marques Golf Course is located next to the ocean, which is just a short walk away.